1. 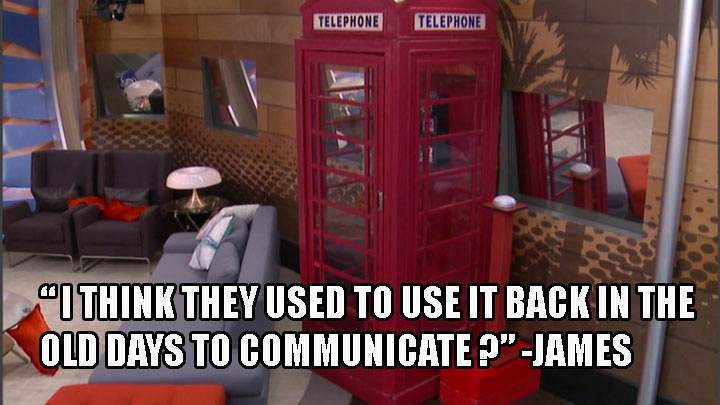 James didn't know what a phone booth was. Sure, phone booths aren't as ubiquitous as they were, say, 20 years ago, but we still can't get over James' hilarious reaction to the antiquated object, which he called a "big, red, boxy thing."